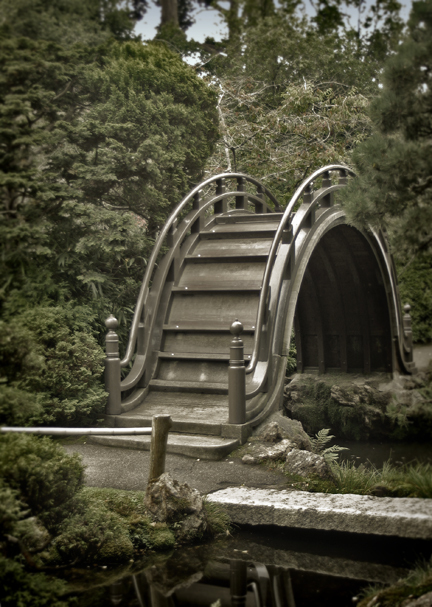 There are a number of unique bridges throughout the tea garden. At top, the distinctive Taiko Bashi, or drum bridge, requires you to start climbing it as you would a ladder until you reach the high curved top. 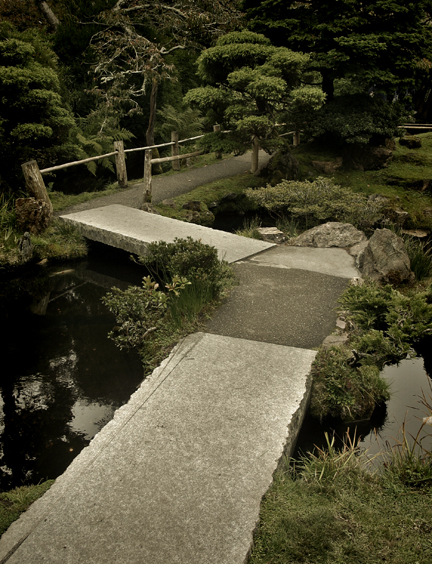 The flat stone bridge pictured below follows the Japanese garden aesthetic of non-linear paths and walkways. The implied philosophy being that the mind should also wander when enjoying a garden.